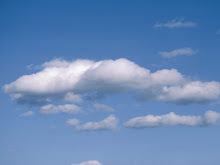 Andrew Seybold wrote an interesting piece on Cloud Computing: Cloud Computing -- a new version of an old idea. He identifies a few similarities between the centralized nature of cloud computing and the mainframes from many decades ago. Andrew's comments are centered mostly around centralizing data and making it available to a variety of clients. One of Andrew's biggest concerns is that he might not have network access ALL the time. Network access is a valid concern and while wifi and broadband coverage continues to grow every day it is still not EVERYWHERE. Google has made offline versions of several of its products, most recently GMail. However, I think Andrew's mainframe comparison is not quite right. The Cloud is much more web based email and web based document storage. Openness and Accessibility are the Cloud's key disruptive drivers. Accessibility: The programmable Web is open to anyone with the right skills but you don't need to be a rocket scientist to benefit from it. Kids in high school are building mashups to share pictures and communicate with each other but so is the Federal government. This is unprecedented. Sure there is a digital divide but the gap can't be compared to the mainframe days. Furthermore, anyone from their home computer can have access to Google's massive computing infrastructure for free. And once they go beyond their free quota, they can still serve an application with more than 5M page views a day for less than $50 a month. These conditions will power unprecedented innovation over the next 5 years. Andrew says that the Cloud is not being pushed by IT professionals. I don't completely agree. I see a lot of CIOs looking at Cloud based solutions where possible to reduce operating costs. But in my experience the real people pushing the Cloud are actual business users that are exposed to the innovation delivered by consumer services like Facebook and wonder why can't they have the same type of tools at work. The Cloud is successful because it represents the ultimate democratization of technology: driven by end users and open to all.